This Denver museum had a little bit of everything. The dozen or so late-model Rolls Royces didn’t interest me much, but otherwise, I enjoyed it. 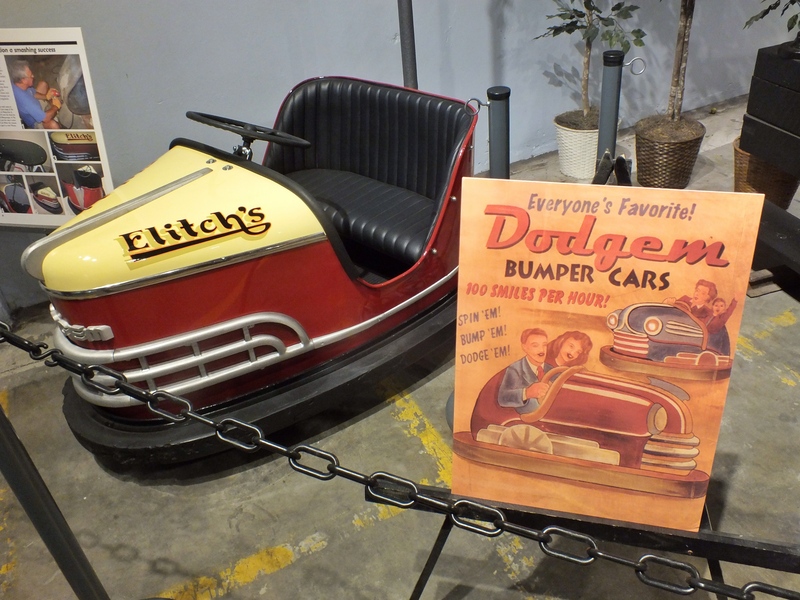 A restored bumper car from the 50’s. 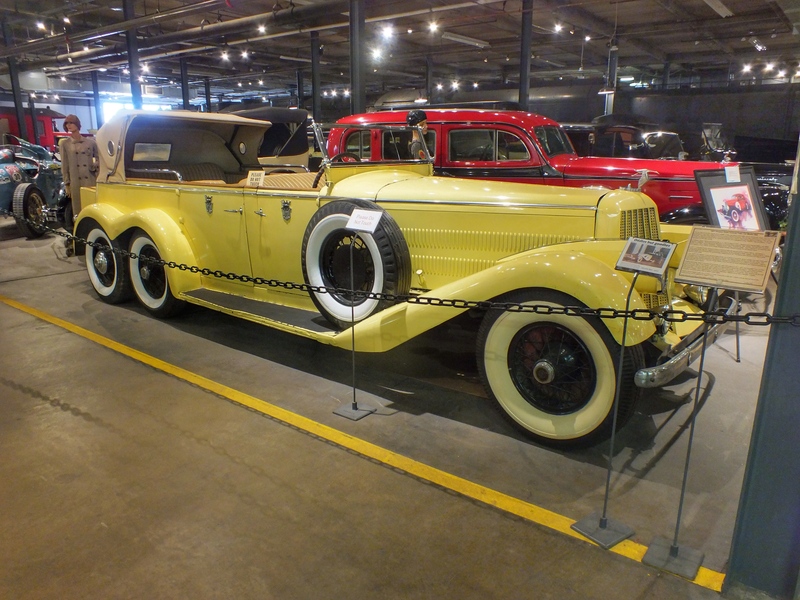 1923 Hispano Suiza Victoria Town Car. It was originally ordered by King George II of Greece, but he was deposed before it was delivered. 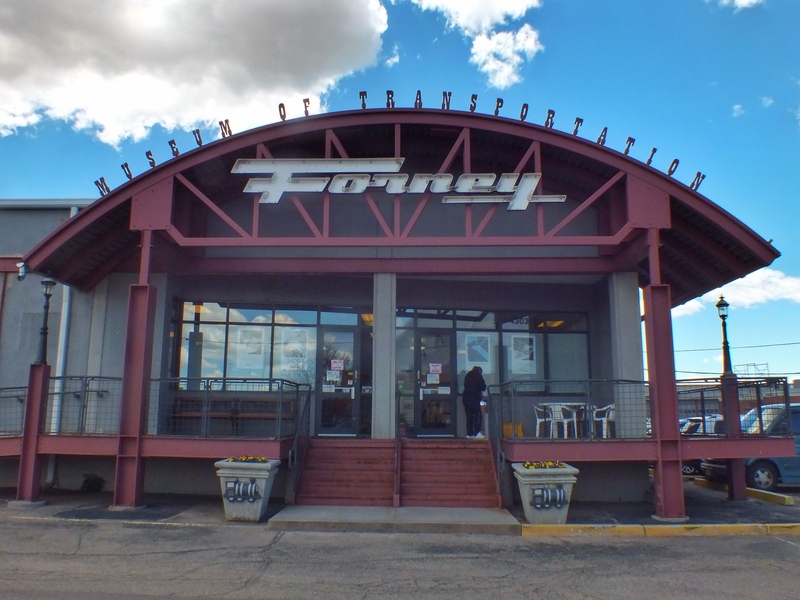 It was purchased by Hollywood director D. W. Griffith who used it in several movies. On the left is “Aunt Peachy,” a derrick car used in Denver to clear wrecks and do track maintenance. The yellow and brown train sides in the background were used in the 2005 movie The Chronicles of Narnia: The Lion, the Witch, and the Wardrobe. 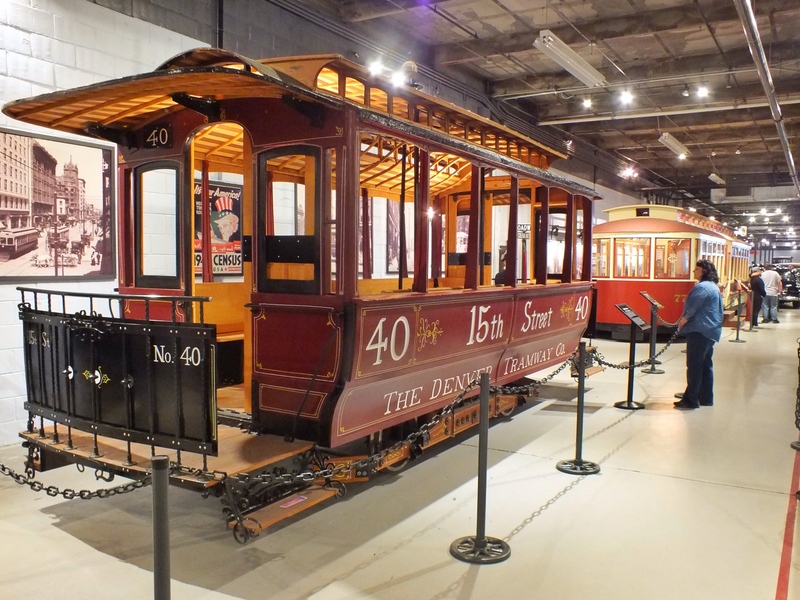 An 1886 cable car used by the Denver Tramway Company. 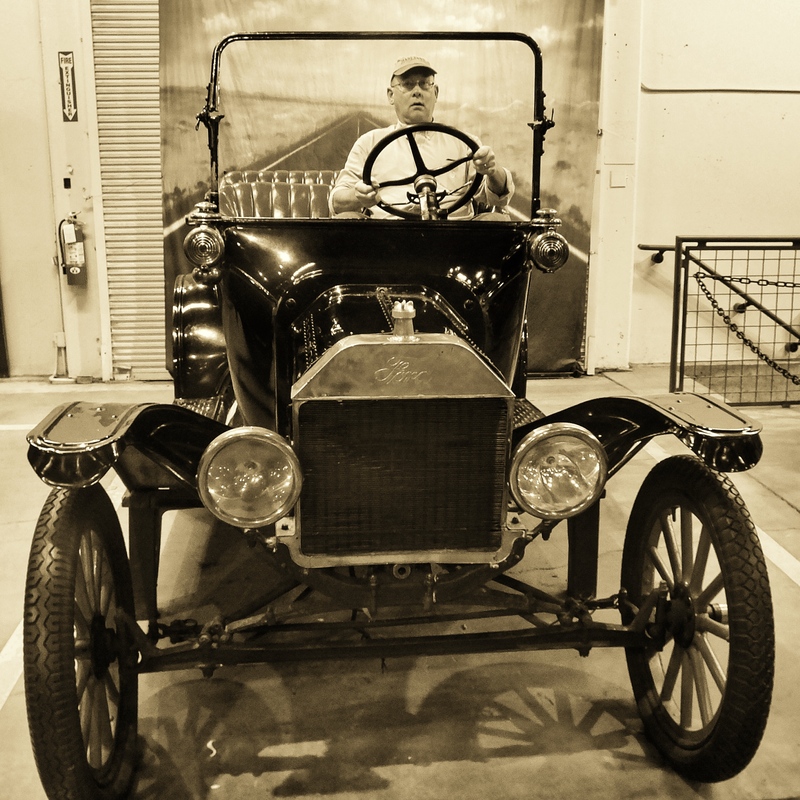 In the background is a 1906 street car. 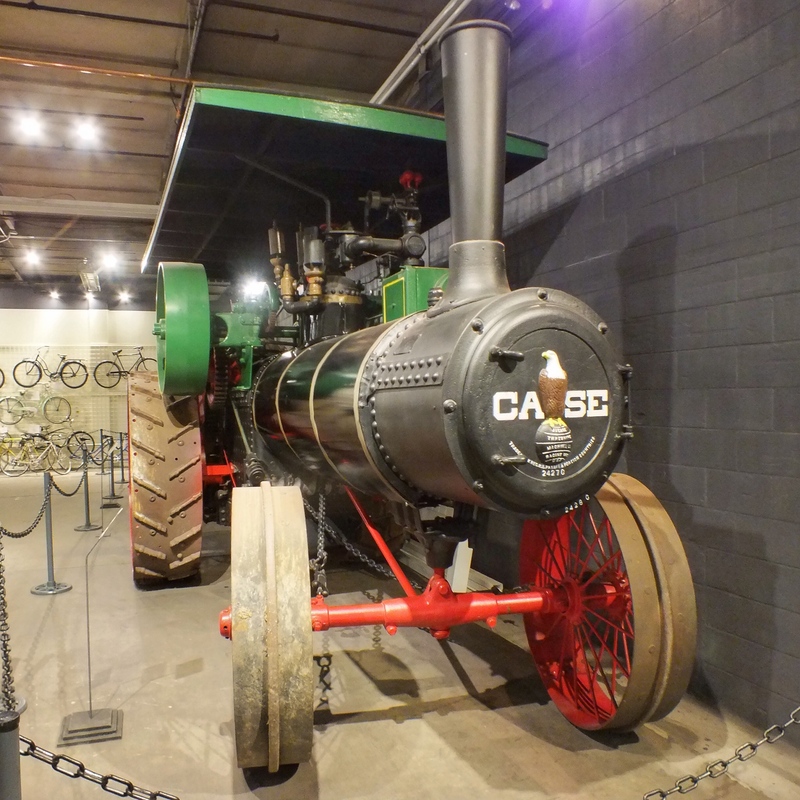 A 1923 Case steam traction engine. 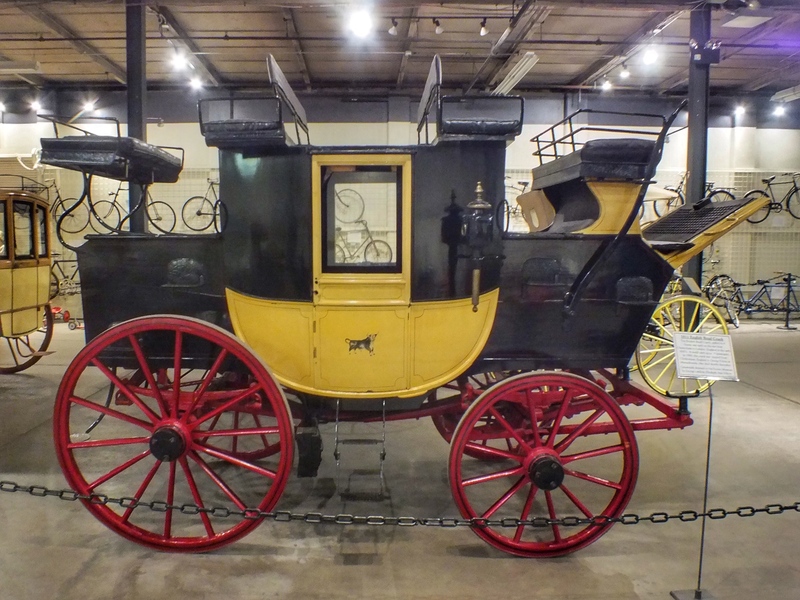 This was maybe my favorite piece in the museum — an 1811 English road coach used between Cheltenham to London. It could carry up to 18 (very cozy) passengers. 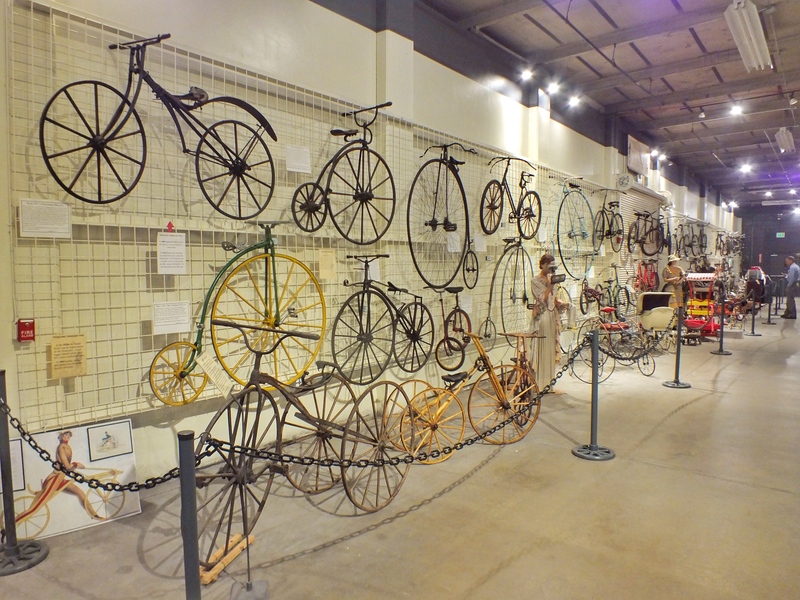 A display of old bicycles. The first on in the top row was powered by the rider pushing with his feet on either side. The blue one five down on the top row has the smaller wheel in front. 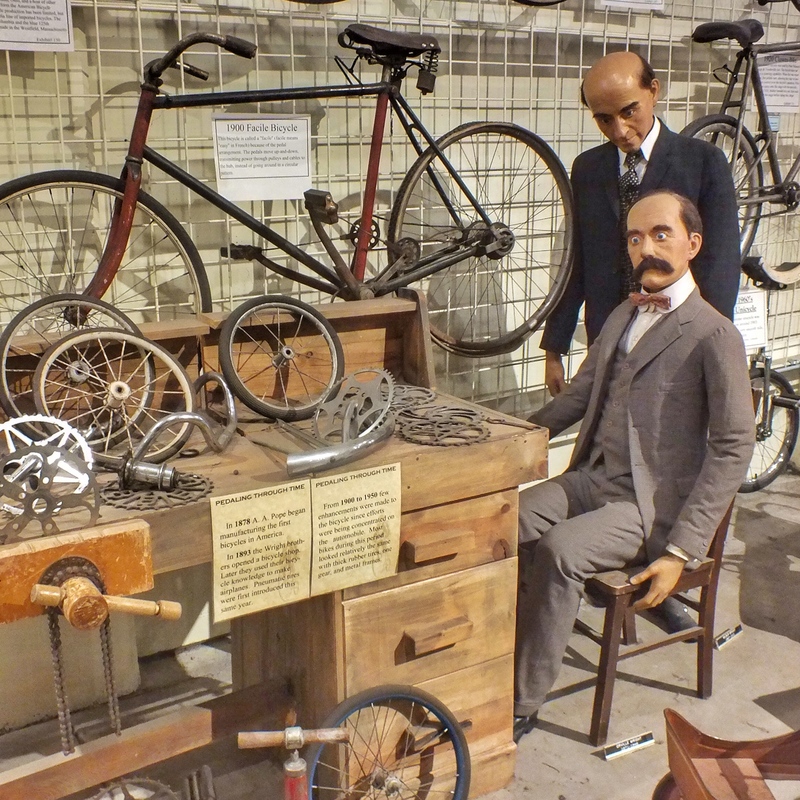 In the middle of the bike display were these wax figures of the Wright Brothers. I think it looks like Wilbur just gave Orville a surprise wedgie. 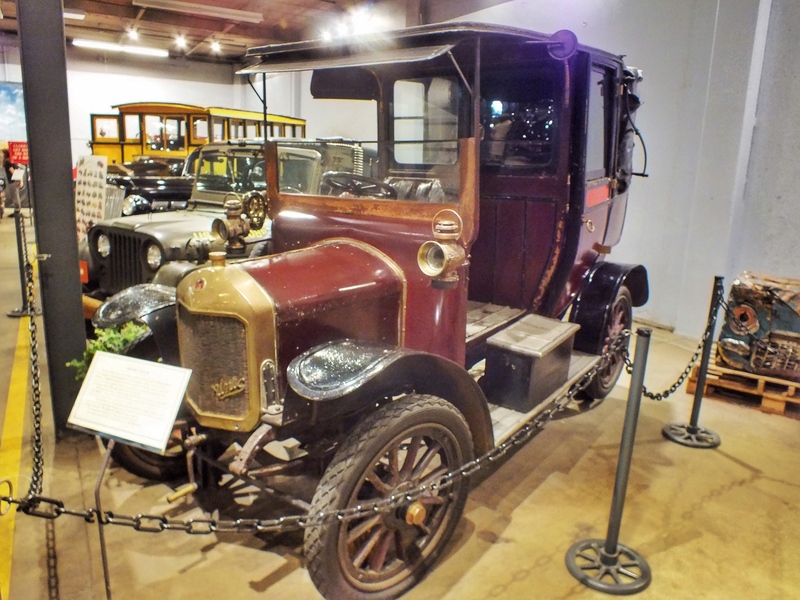 A 1913 White bus used to carry passengers in Glacier National Park for many years. 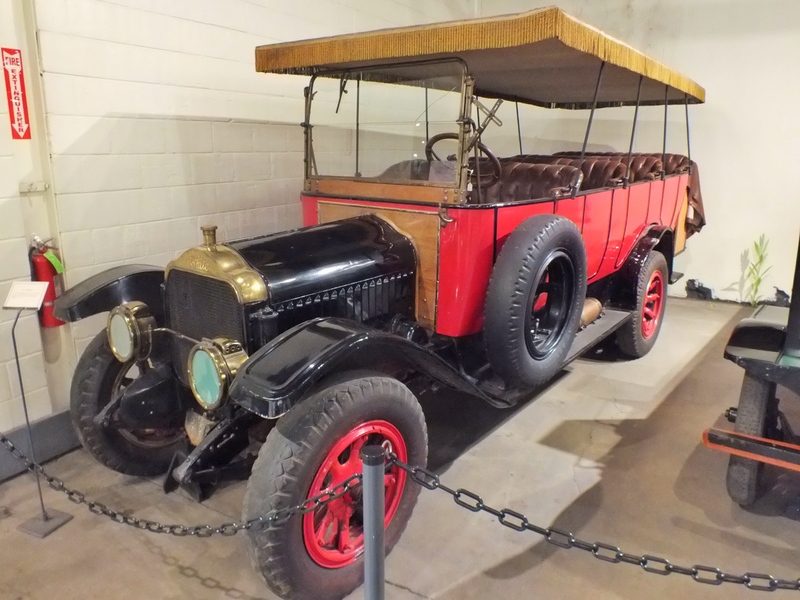 This 1909 Unic Taxicab was used in the WWI Battle of the Marne to haul soldiers to the front lines and carry wounded back to Paris. 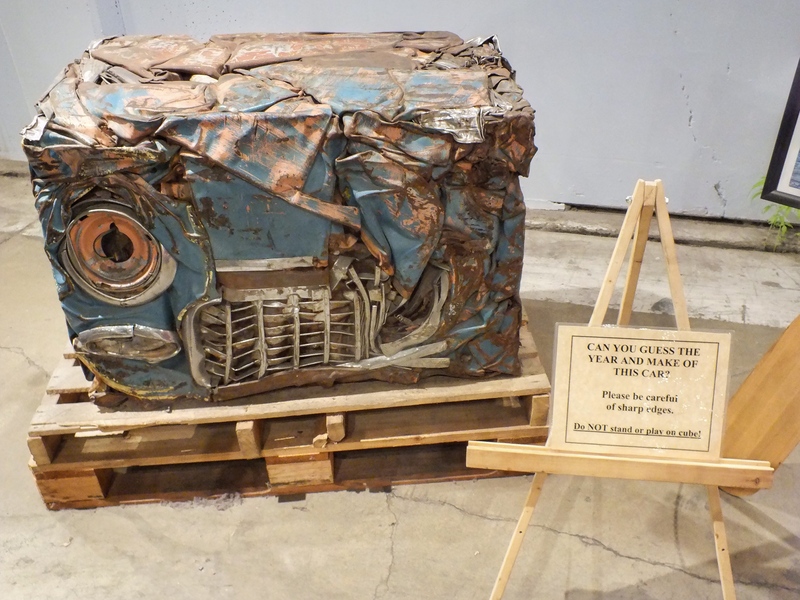 It has never been restored. 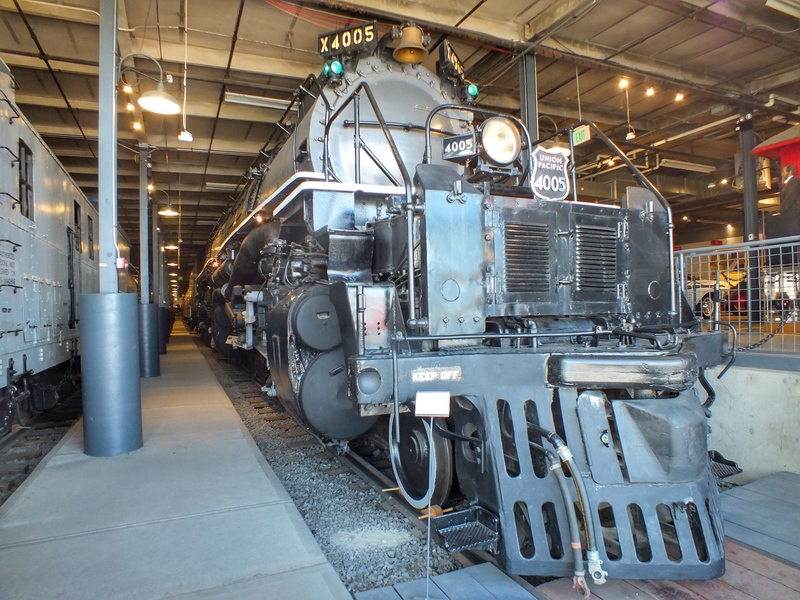 Big Boy steam locomotive, built during the 1940’s and used into the 1960’s. It was one of the largest engines every built, designed for maximum traction on mountains. 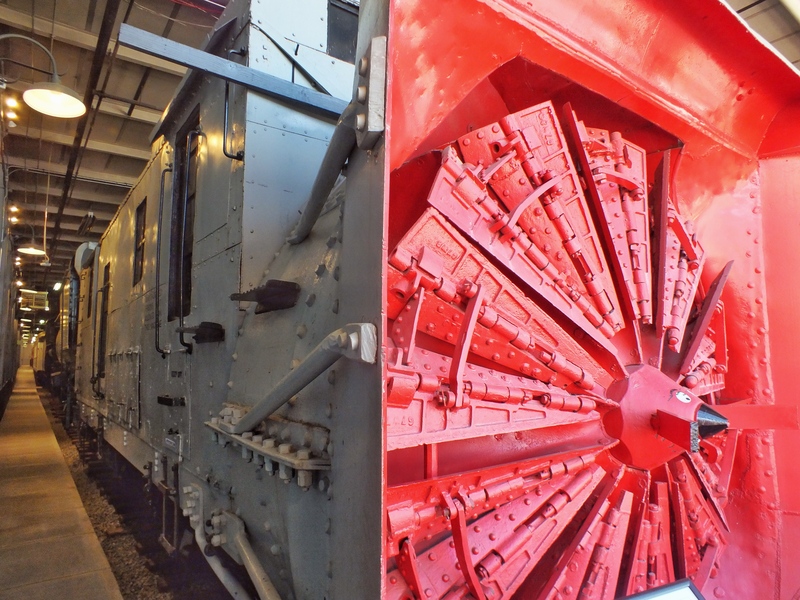 Union Pacific rotary snow plow built in 1909. 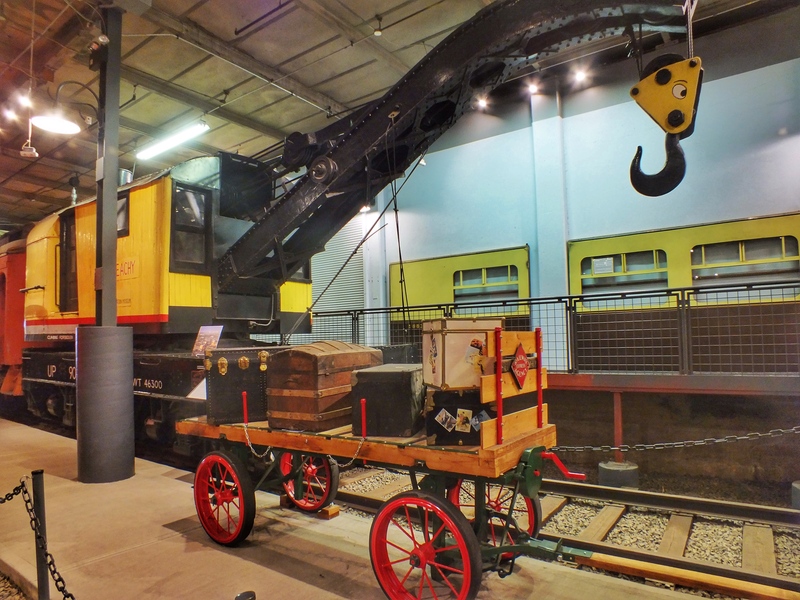 It had an engine to turn the blade, but the car itself was pushed by a locomotive. 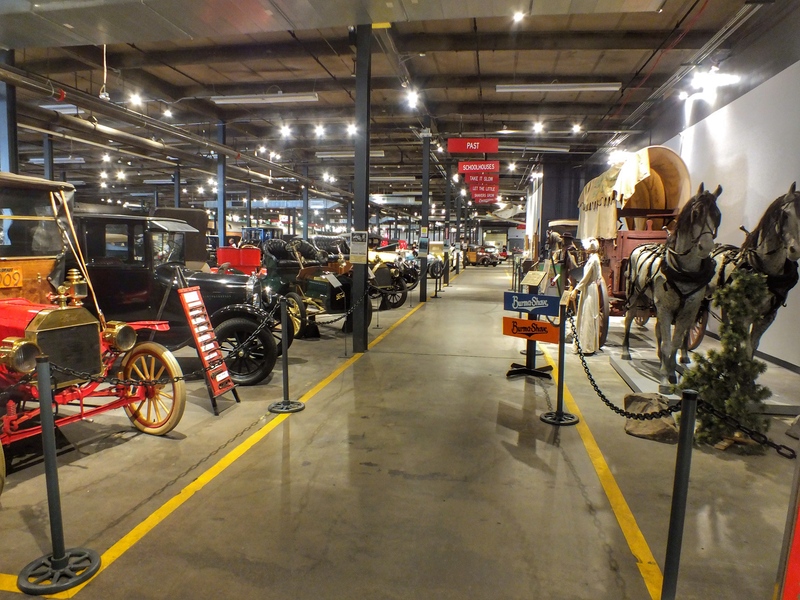 There is a lot of other stuff in the museum, much of it interesting and informative. And there was this.